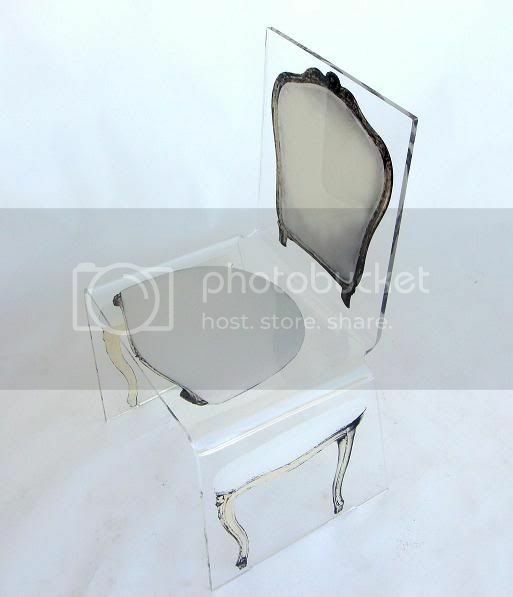 We first knew of Mr. Starck through his Louis XV ghost chair. 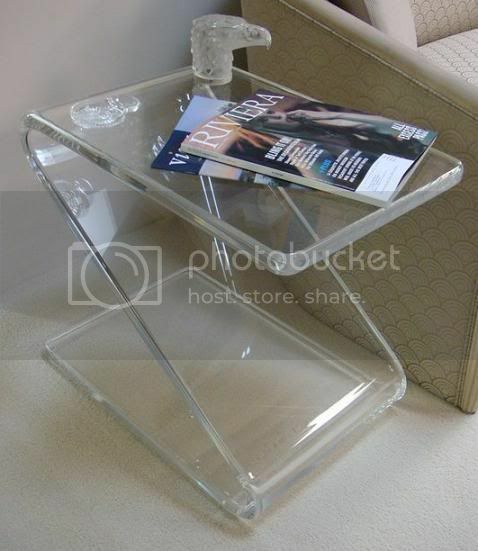 It is a by product of Philippe Starck and Kartell's (U.S. home furnishing manufacturer) collaboration. 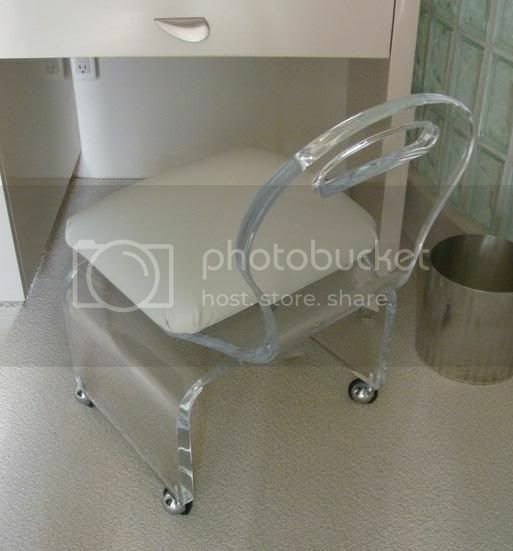 The ghost chair is basically a polycarbonate chair. The chair is reminiscent of baroque which naturally eludes fascination and excitement. Karen Davila, ABS-CBN news anchor owns several pieces of them. 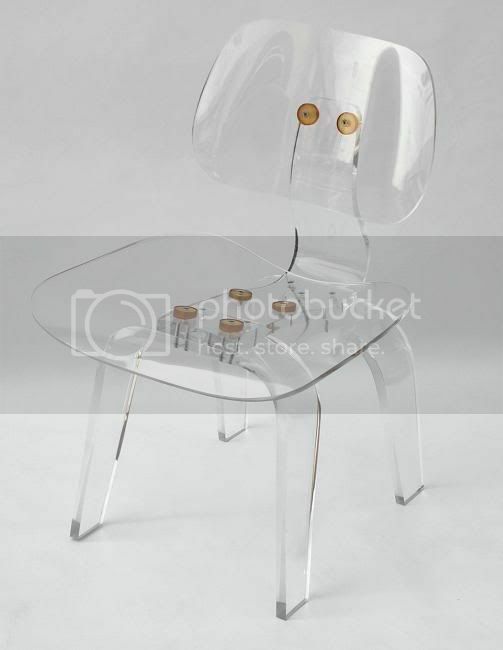 A Philippe Starck ghost chair fetches for $330 (Php 15,840) each. Recently, we've been hooked with furniture designs from another designer. Meet Aaron R. Thomas - a Los Angeles-based designer, sculpts acrylic into furniture, artwork and colorful boxes. He says the "purity" of the material makes it exciting to work with. 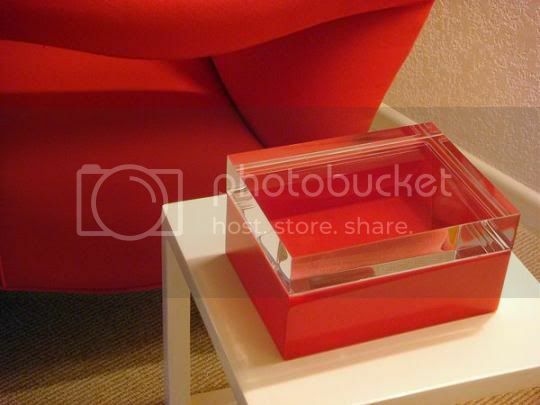 "It both catches your eye, and disappears into the room. It's uncommon enough that people just kind of light up when they see it." 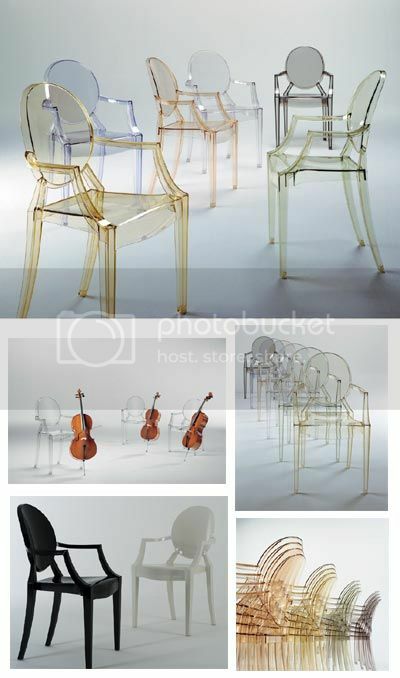 Here are some very "Philippe Starck ghost chair" pieces only they're by Aaron Thomas. Click "Read More" to view the rest of the very interesting Aaron R. Thomas pieces. Some pieces we manage to know the prices. Some may ask why these pieces are insanely priced. Watch and you'll know why. We thought you might like to know that we will be launching our new website within the week- We are expanding the online store to include many more chairs, tables, lighting and artwork, which previously were available only by custom order. Hi Anne. Firstly, thanks for dropping by and taking notice of our entry. One really can't help but admire those furniture pieces by Aaron Thomas. We look forward to more of Aaron Thomas's "art pieces". Hello and Thank you for the post. I appreciate your liking for my art. On the SLS hotel L.A. We'll post the work soon. 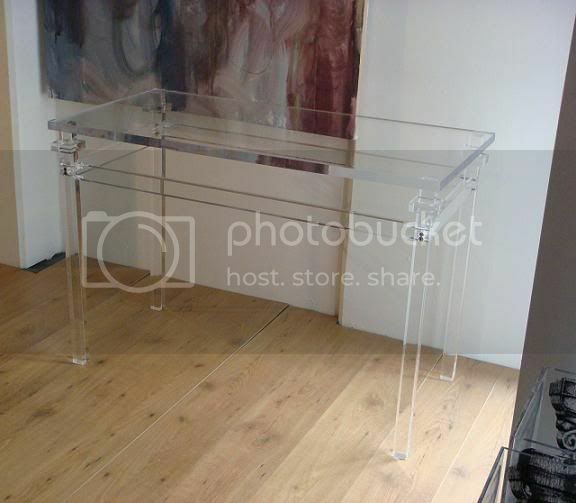 Stainless steel, acrylic and beech wood Hydroponics tanks to grow all the fresh organic produce. Just a taste! If you can't wait visit the Hotel and see them first hand.